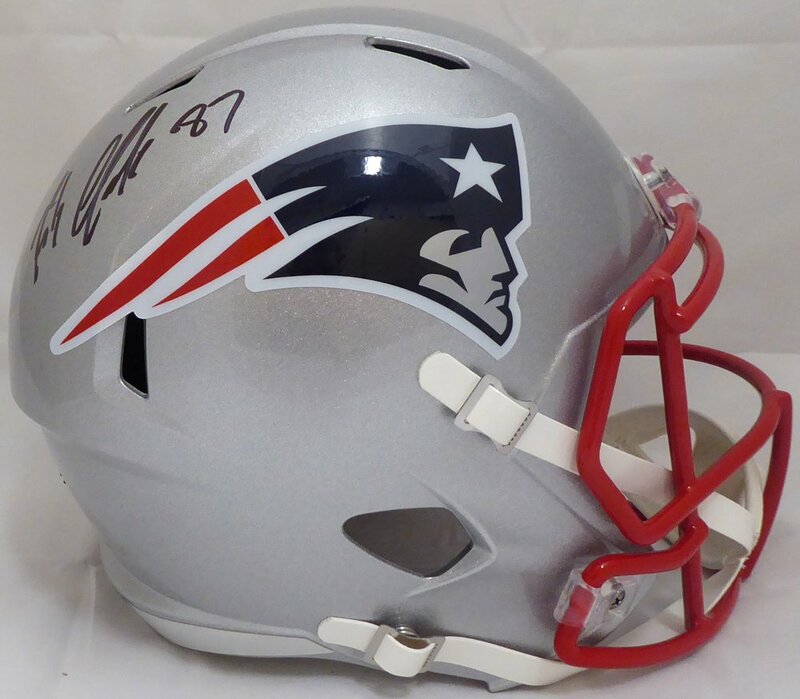 You are viewing a New England Patriots Speed Full Size Helmet that has been personally signed by Rob Gronkowski. This item has been certified authentic by Beckett Authentication Services and comes with their sticker and Certificate of Authenticity. Mint Condition.